For those facilities that store large volumes of used antifreeze, this drain is molded in green polyethylene so the proper receptacle is used to prevent mixing of fluids. 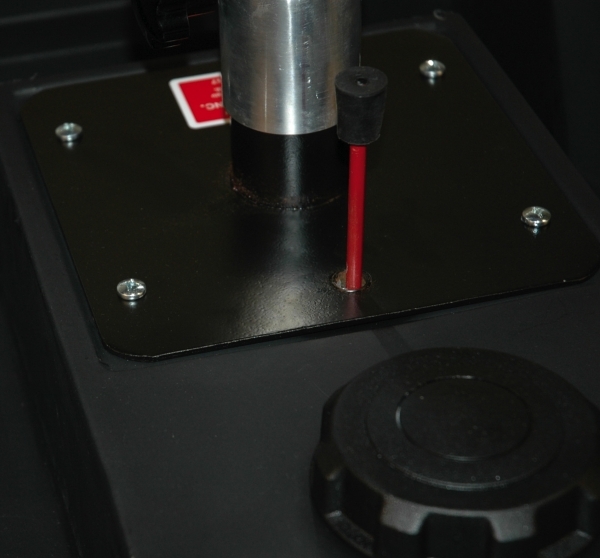 It can be used with coolant or other fluids that need to be stored and disposed of separately. It incorporates the same features as the JDI-22DCX. 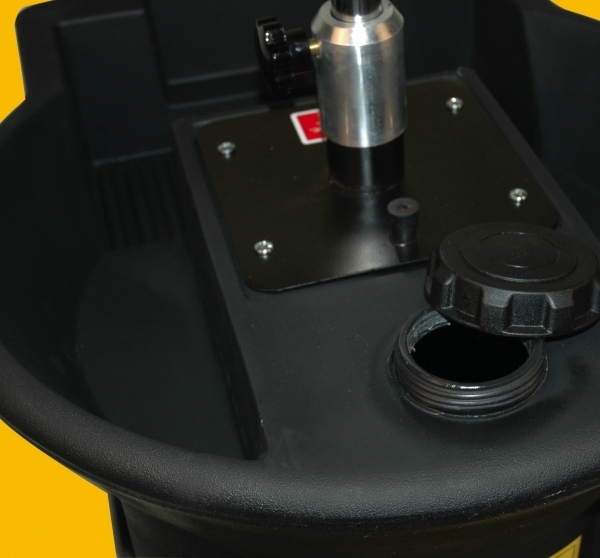 No more stacking filters in the funnel to let them drain before disposal. 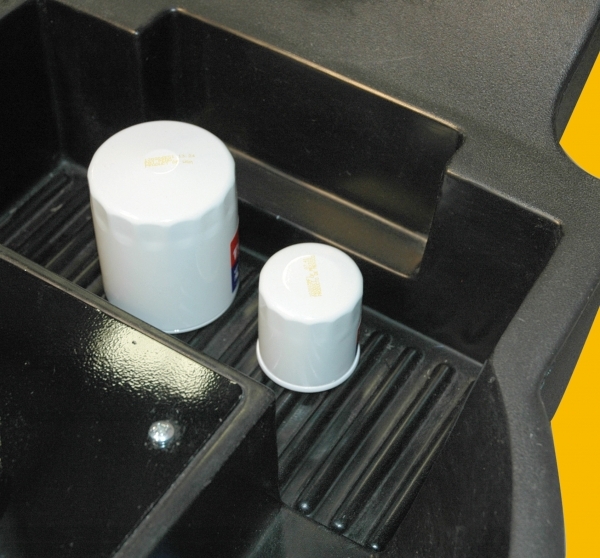 The built-in filter drain easily holds four to five standard oil filters. Filters drain directly into the drain body. These pockets keep wrenches, pliers and other tools readily accessible. Use this 3" port to manually pour other fluids in the drain for storage. It also allows the use of a suction wand for evacuation. 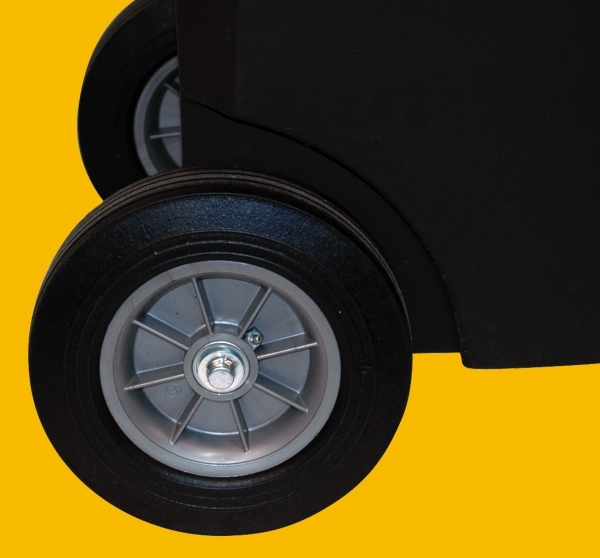 The 4" front swivel casters and 4" rear wheels make this drain easy to maneuver and transport. 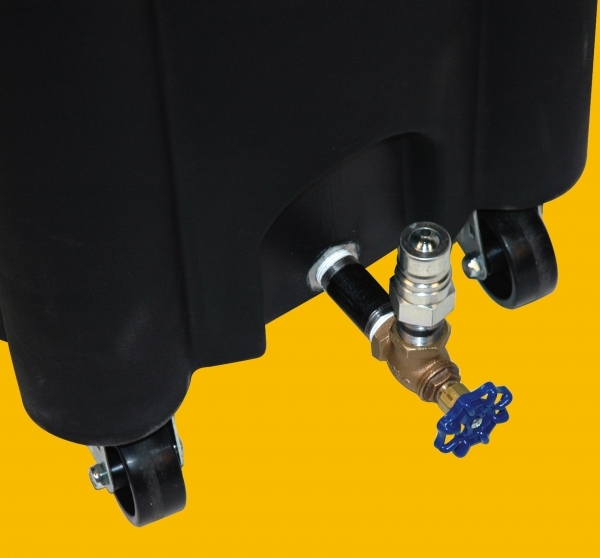 The 3" front casters and 10" rear wheels make it easy to maneuver the drain over air hoses and other obstacles found in the service bay area. The optional No. 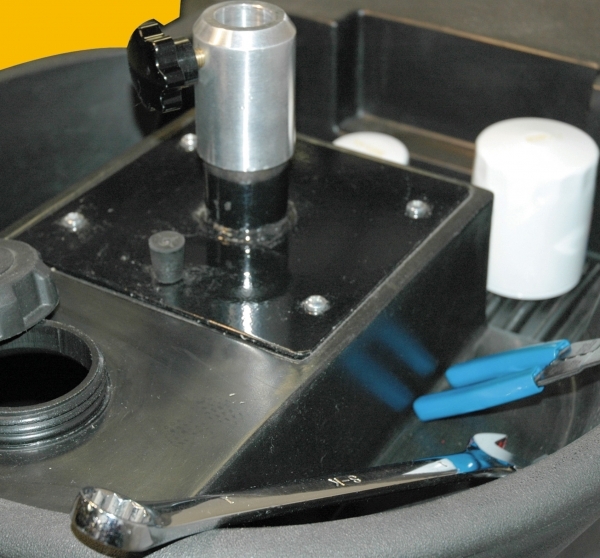 61431-2 conversion kit adapts the drain for use with most air diaphragm evacuation systems. This kit includes the necessary fittings needed to use with a quick disconnect system. Height Adjustment 45" to 70"